The Defense Advanced Research Projects Agency has selected Vector Launch, Virgin Orbit subsidiary VOX Space and one unnamed company to compete for a program designed to give the U.S. military new technologies to launch small payloads into orbit. The three companies received $400K each to begin developing systems that they will eventually send to low-Earth orbit for two launch missions under the DARPA Launch Challenge, the agency said Wednesday. The event seeks capabilities that could cut the time to send payloads to space to just days or weeks and to enable the military to shift to any location when needed. The companies that will successfully send payloads to space in the first launch will get a $2M prize and another $8M to $10M for the second launch. DARPA aims to begin sending payloads to space in early 2020. As part of the challenge, the agency will only inform companies about the launch site a few weeks prior to launch, while exact details on the payload and orbit will be given just days before the mission. 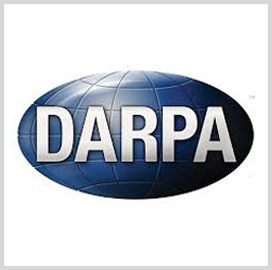 “There’s a real benefit to making use of something already in development in the commercial market,” said Todd Master, program manager for the DARPA Launch Challenge. “We want to move to a more risk-accepting philosophy and a much faster pace so we can put assets into space at the speed of warfighter needs,” he added.